As the colder weather approaches, questions about smartphone-controlled remote starters are common here at the Audio Garage. 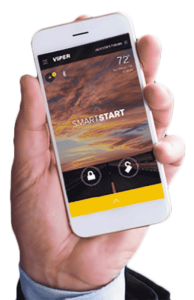 Manufacturers like Viper are always coming up with new control options for their remote car starter systems. In this article, we talk about remotes and highlight how one-way, two-way and smartphone systems function. 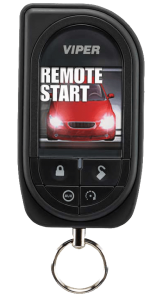 The key fob or remote that comes with your remote car starter is a compact radio transmitter. When you press a button, the remote generates a security code and a command, then transmits that information over the air to the remote starter antenna in the vehicle. The starter system checks the security code, then executes the command. Remotes use either AM (Amplitude Modulation) or FM (Frequency Modulation) transmission technologies. FM transmissions resist noise better than AM, so they typically offer a lot more range. Products like the Viper 5906V use Spread Spectrum Technology (SST), a derivative of FM that uses a wider range of transmission frequencies to further improve noise rejection and, subsequently, range. Remotes that offer one-way communication work like a factory-provided remote control. When you push a button to request a function, the remote transmits a signal. Depending on the model of remote, the advertised range could be anywhere from 1,320 to as much as 2,000 feet. As long as the signal from your remote is received clearly, the function you requested will be performed. For the ultimate in range, the Viper SmartStart is our solution of choice. The SmartStart system includes a cellular radio-equipped module that is installed in your vehicle. A one- or three-year service plan allows that radio to use the cellphone network to communicate with the SmartStart server system. An application on your iPhone or Android Phone lets you control your remote starter or security system. 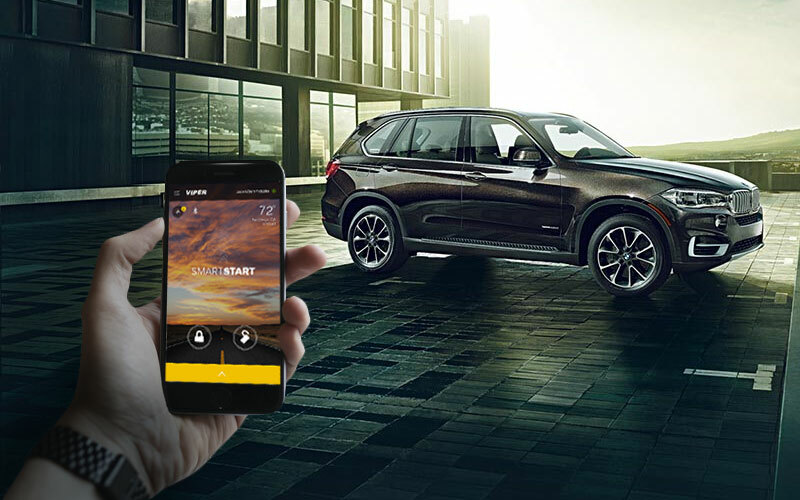 The app functions just like a radio frequency remote – but works anywhere that you and your vehicle have cellphone service. Your car could be at home and you could be on the beach in Cancun; you’ll still know what’s going on with your car. SmartStart systems include the ability to check your battery voltage and the temperature inside your vehicle from the app. You can opt for a system that includes GPS locating in the vehicle to add speed and location-based alerts, as well as vehicle position information. When it’s time to add a remote starter to your car, truck or drop on by and speak with a member of our sales team. We’d be happy to demonstrate how our smartphone-controlled remote starters work. You can reach us by E-MAIL for more information.